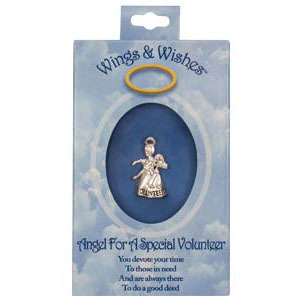 Volunteer Angel pin, silver. 1 inch tall. Nice gift box. Newer design. A better life helping others and the reward of hope. 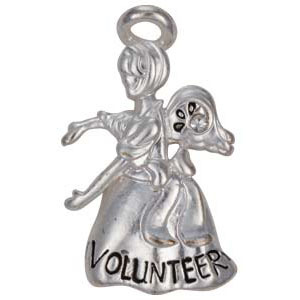 Honor thy volunteers.